Deals:Buy Dove. Get Panasonic Hair Dryer for FREE! 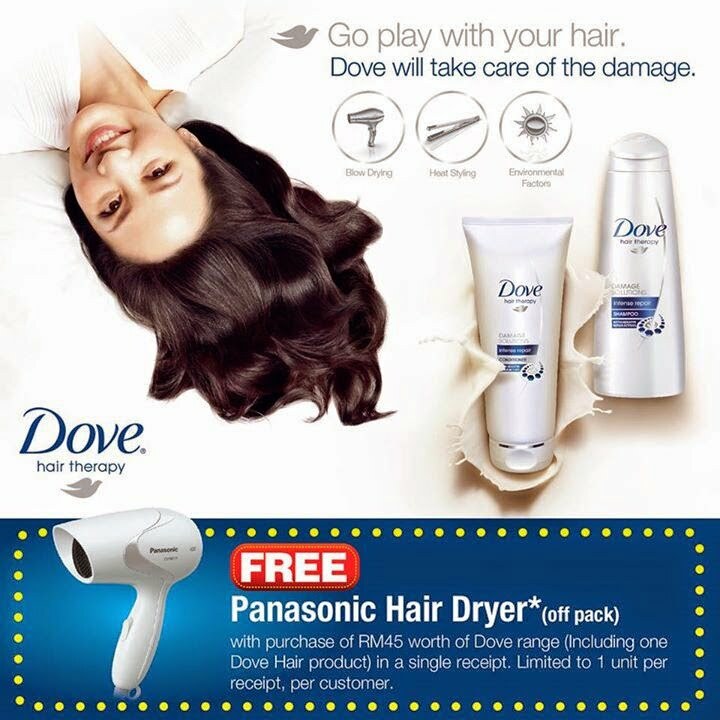 Guardian is giving away Panasonic Hair Dryer (worth RM40) to all its customers who purchased RM45 worth of Dove range including Dove Hair product in a single receipt. Which Dove products that eligible you to get this hair dryer for free? For more products available at Guardian, click here to head to their online store. Get yours now at selected Guardian stores & Guardian Online store today before someone else grabs them all. Don’t forget to check out for more FREEBIES from Guardian here.